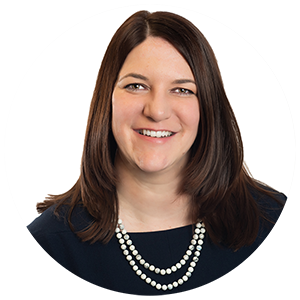 Ann Kirk’s practice focuses primarily on providing insurance coverage advice and representing domestic and international insurers in litigation. Ann regularly analyzes coverage for a variety of first-party property claims and third-party liability claims, addressing numerous states’ laws. She has litigated declaratory judgment actions in state and federal court, and she has defended insurers and their business partners in breach of contract and bad faith actions. Ann has litigated coverage actions involving quantum disputes, the application and enforceability of policy provisions and exclusions, misrepresentations in the underwriting process, fraudulent claims, and numerous other issues. Ann serves as appointed defense counsel, representing insureds in litigation alleging personal injury or wrongful death, construction defect, and premises liability. She also assists a self-insured entity by analyzing and providing advice regarding its defense and indemnity obligations to its business partners. Earlier in her career, Ann spent four months on secondment in the Lloyd’s, London Insurance Market. There, she worked with the legal team of a leading Lloyd’s insurer on a broad range of worldwide claims at all phases of the claims process, including claims investigation and adjustment, coverage analysis, litigation and resolution. Ann also worked with underwriters to draft U.S. policy wordings. Drawing on this experience, her practice includes counseling insurers with regard to underwriting and risk management issues. Ann received her Juris Doctor from Northwestern University in 2003 where she served as Managing Editor & Comment Editor of the Journal of Criminal Law & Criminology. Representing insurers in coverage litigation with respect to numerous property damage claims at residential and commercial properties, arising from a variety of perils including hail, theft, fire, vandalism, windstorm, and flood. Representing insurers in rescission actions based on material misrepresentations in policy applications and in claims where arson or other types of fraud are suspected. Representing London and domestic insurers in coverage litigation stemming from cult leader’s alleged sexual abuse of minors. Obtained summary judgment, upheld by the 11th Circuit, for a London insurer facing a claim for a second fire to a property previously deemed a total loss. On behalf of London and foreign insurers, successfully resolved large property damage claim, including time element components, stemming from collapsed barge slip. On behalf of London, Bermuda, and domestic insurers, successfully resolved fire claim at battery manufacturing plant, including complex issues related to insured’s bankruptcy and landlord’s effort to recover under the insured’s policy. Represented foreign insurer in coverage litigation related to class action arising from general contractor’s construction of hundreds of homes. Represented London insurers in arbitration of coverage issues in relation to a Fortune 100 retail chain’s $75 million Hurricane Katrina claim for property damage and extra expense.